Obasanjo, spoke at a public presentation of a book written by Prof . Mark Nwagwu , titled , ‘I am Kagara , I Weave the Sands of Sahara,’ in Ibadan , the Oyo State capital . He also called on the Federal Government to respect the agreement it signed with the Academic Staff Union of Universities , saying that the Federal Government put itself in a corner by entering into the agreement without full consultation. He said , “ Government allows itself to be stampeded into signing agreement particularly when one group or the other withdraws it services and goes on strike. After the agreement has been signed , without full consultation within government , implementation becomes an issue . “But an agreement is an agreement whoever the agent is that signed that agreement on your behalf , you are bound by it. You may now have to renegotiate to have a new agreement but the agreement earlier signed remains an agreement . “When the university teachers go on strike, there is an agreement ; and when doctors go on strike , there will be a special agreement . And when the universities teachers see that the agreement reached with the doctors is different from theirs, they go on strike and this is bad for our economy . “The way we are going about spending all our revenue to pay overheads , we will not develop. And we will have ourselves to blame . Ninety per cent of revenue is used to pay overheads , allowances , salaries and not much is left for capital development . In a situation like that, we have to rethink . 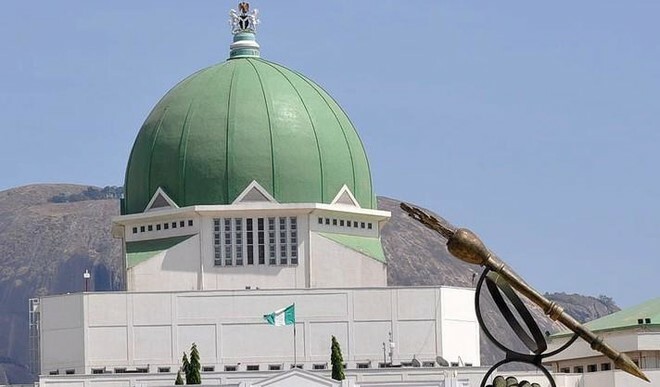 “It is even worse for the National Assembly. They will abuse me again but I will never stop talking about them . They are a bunch of unarmed robbers . At the event , a former Minister of Education , Mrs . Oby Ezekwesili, called for positive attitudinal changes for national development. She said the book would serve as a tool for the country to examine the extent to which it had lost her values and culture.